We’re continuing to work diligently on our translation of Where There is No Doctor into Bambara. Thanks to our generous donors, we’ve been able to keep our translation team in Bamako busy, and they’ve recently finished the 9th chapter! Once the documents are properly formatted, we’ll post the PDF files on this website. 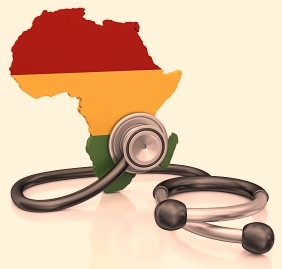 We hope to conduct the first field tests with health workers in Mali later this summer, ni Ala sɔnna! In the meantime, here’s a good reminder of why accurate, up-to-date health information is so vitally needed in Africa. Africa has only 2.3 health workers per 1,000 people. Sub-Saharan Africa has 24% of the global burden of disease but only 3% of the world’s health workforce. The World Health Organization estimates there is a critical shortage of 2.4 million doctors, nurses and midwives in 57 countries around the world. The physician-to-population ratio is 18 per 100,000 people continent-wide in Sub-Saharan Africa. Six preventable causes account for 73% of deaths in children under 5: pneumonia, diarrhea, malaria, neonatal pneumonia or sepsis, preterm delivery, and asphyxia at birth.